Britain's planning rules are ruining its music industry. Here's how. In early July, The Troubadour, an independent pub in London's Earl’s Court district, was put up for sale. Its owners, Simon and Susie Thornhill, told the Evening Standard that the closure of their rear terrace, prompted by noise complaints and a subsequent enforcement action by Kensington & Chelsea council, had reduced their takings, making the business unviable. 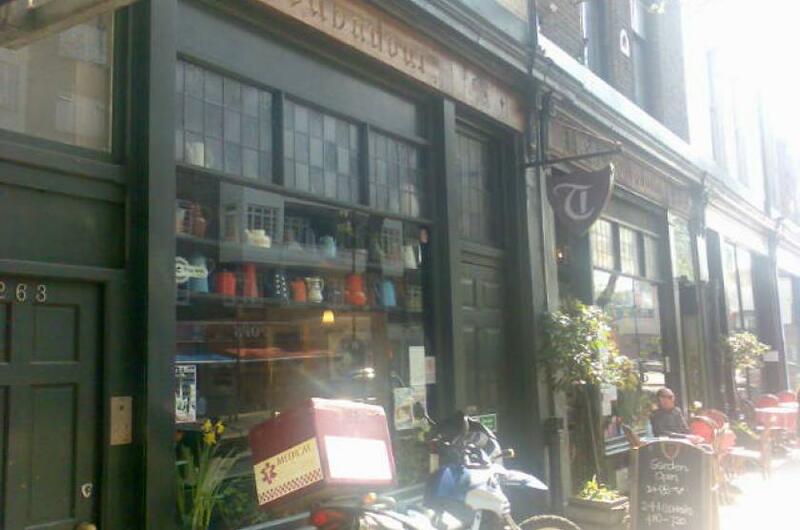 The Troubadour is one of the more storied venues in London. It has hosted live music since 1954; as recently as 2011, Bob Dylan and Keith Richards played there. But with Earl’s Court now being redeveloped into housing and a new town centre, it was the last such venue in the area. Its current challenges are disappointing. When discussing the problems faced by live music venues today, the debate tends to focus more on the micro side of things – individual cases, like that of the Troubadour – than the macro, in the form of a larger, more worrying problem threatening all our cultural spaces, including venues. This problem is the way our planning laws are often used to undermine and deprioritise the creative industries. The Troubadour’s fate notwithstanding, we need to understand how the national laws – and their local interpretations – that guide city planning impact our venues, pubs, theatres and community spaces. Our planning system has become increasingly focused on private concerns, rather than on building and sustaining the places that makes our cities worth living in for all of us. This is not our planning sector’s fault; nor is it that of our developers. It’s the law. And it needs to change. Since the coalition government came to power in 2010, our national planning policy framework (NPPF) has become skewed so that decision making focuses on how expensive a piece of land is, rather than the collective impact, inside and outside, that building on it will have. Proposals are judged on the concept of "sustainable development". But sustainability, in this context, is not the same as liveability. It is a financial equation. And the biggest losers, it seems, are those in need of affordable housing, or places to create, whether that's a venue, a community centre or a rehearsal space; anywhere, in fact, that doesn't generate immediate profit for stakeholders. Here are a few examples. Few of those in the creative industries understand the arcane ecosystem surrounding viability assessments. These are mathematical equations to determine how viable (or not) a development is: in planning vernacular, “viability” is defined as a development that brings profits of 20 per cent or more to the investor (in most cases, a private developer). Viability assessments are done on a case-by-case basis. What they mean in aggregate, though, is that planning permission is most likely to be granted at the behest of private stakeholders, rather than because of housing or community demand. This impacts how much affordable housing is built, as Oliver Wainwright cleverly explains in this article in the Guardian. It also makes it more difficult to justify retaining venues on valuable land that could be put to another use (flats, for example). If redevelopment does not bring at least 20 per cent profit to the developer, than the project is not deemed, in our policy framework, viable. Here, it is not those building on the land that need to change; it's the laws they follow. This problem is compounded by the deregulation of building use change rules, introduced by the previous government and expanded by the current one. These changes mean that a venue (or a pub, or an office) can now be turned into flats with minimal planning consent. If the venue is not deemed profitable, if flats would provide a greater return to the landowners, that venue isn't viable. There's more. Where a change of use is denied by a planner, when it goes to appeal, the decision is often reversed: the viability assessment is everything. As a result, planners are forced to be more creative in finding ways to challenge these changes: fighting appeals using arcane sewage treatment bylaws, say, or finding breaches in applications due to cycling provisions. There's another issue our planning laws make worse: this one involves noise complaints, which are often blamed for the closure of venues and other creative spaces. The Fleece is Bristol is another venue under threat right now, as is The Arches in Glasgow. Both examples are down to new housing developments nearby, and residents complaints about the noise from both the music itself and from patrons smoking outside. Where councils issue venues with compliance order, they lose out on revenues from, for example, the closure of a patio or back garden. Here, the law favours the complainant, not the original use – even though the venue was there before they were. In law, noise is considered a “material consideration”: issues surrounding it are enforceable, regardless of who was there first. The need to build more housing is creating more strained relationships between residents and those running our night-time economies. Such is the case on the London Borough of Hackney right now, where the council is threatening to restrict bars and clubs’ opening hours, a move that could decimate an economy that employs thousands of people. The term used in the draft policy document is that venues and clubs are “not considered appropriate". The solution to this problem does not lie in addressing individual cases, but in changing our planning laws. When a new use is introduced into an area – such as a block of flats in a town centre – those introducing this new use should be required to respect the existing licensees provisions. That would mean that, if a venue makes the same amount of noise before but there are now residents living closer to it, it is the developer’s responsibility to provide the necessary compliance (like soundproofing). As long as the venue doesn’t breach its existing license, they'd have to respect it. These rules, called the Agent of Change principle, have been applied in the Australian city of Melbourne. In our national planning policy framework, these regulations exist in principle, but not in practice. This needs to change, nationwide. Britain's music venues are part of our quality of life ecosystem, like our theatres, museums and restaurants. But they are closing at an alarming rate, and our planning laws are making this worse. And it's not only harming our venues, but our developers, too. In Dalston, the advertising for a new Taylor Wimpey development called Dalston Square tells you that you can discover new music and culture by purchasing a £450k flat. The places where you can do so are under increasing threat. Until we look at how our planning laws impact our venues, cultural spaces and quality of life, we will continue to see stories like that of The Troubadour. We need to understand and positively assess the economic value of our night-time economies, and the businesses that rely on these spaces to trade and develop. And this starts with how we plan.